The Alma Lodge Hotel is the epitome of luxury and lavishness. With a stunning number of fifty two bedrooms, the hotel delights visitors with modernised amenities, conference centre and restaurant. Staying here will give you access to reach out all major attractions and important places. The hotel is connected to the Trafford centre, Manchester airport, Manchester Ring Road, motorway links and railway. A perfect combination of food and sleep! 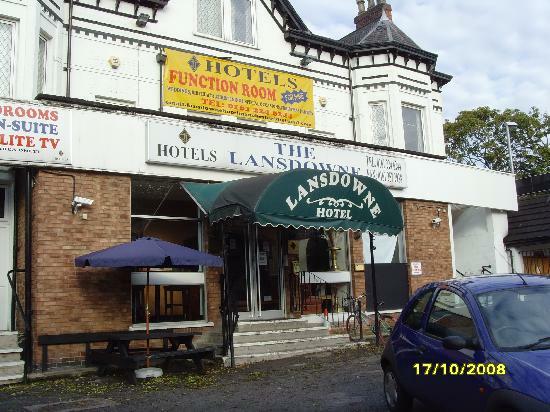 The Lansdowne Hotel offers spectacular range of facilities and hygiene food. Within easy reach are many pubs and great restaurants. If you want to explore Manchester with a delectable breakfast, the options are many. The Manchester hotel is just three miles away from the vibrant area of Fallowfield – south of Manchester City Centre. Match your style at Secrete Apartments – Manchester. These accommodations are five-star rated and known for uniqueness, luxurious and chic. Guests are of the rave reviews about the hotel and its surroundings. You do not have to walk miles to find your favourite dining spots. Besides that women will come across some of the best shops in Manchester in the locality. A former cotton warehouse transformed to a luxury hotel! The Place Aparthtel enjoys rail links and is located next to canal; thus, offering comfortable stay, easy access to important attractions and places and absolutely fantastic views. It is complete with a gym, a bar and a restaurant. No matter for what reason you are in Manchester – whether it is a business tour or leisure, the Place Arthotel is the ultimate pick. To know the city well and to get around each and every attraction in Manchester, there is no better place to stay that the Bulls Head Hale Barns. The hotel is nicely positioned in Hale Barns, a charming village.